What is haptic technology? Wikipedia, CNET review of Novint Falcon on YouTube. 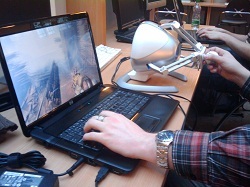 Slides from talk by Petr Kmoch "Haptics - Don't Lose Touch with Virtual Reality". 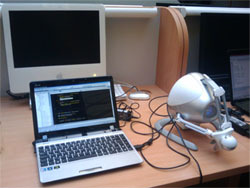 There are currently three haptic devices at our faculty. 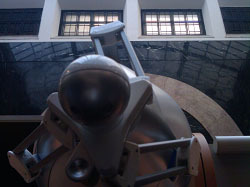 The first one is Novint Falcon and it is located in Rotunda laboratory at Mala Strana. 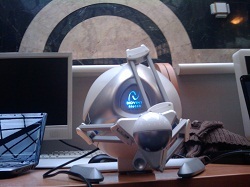 Second Novint Falcon is located at Computer Graphics Group cabinet together with Phantom Desktop device. Additional User manual Stylus Adapter Kit available! Design and implementation of a generic API for interacting with volumetric medical data (CT scans). 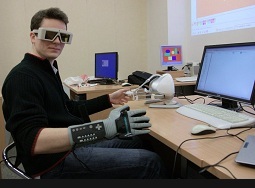 The API shall allow controlling a 3D virtual cursor with force feedback (both haptic and pseudo-haptic). The project will consist of the generic API as well as its implementation for one or more hardware devices (such as a haptic device, force-feedback joystick, mouse). The project forms part of the MedV4D project, which is developed in cooperation with medical professionals. A Novint Falcon haptic device will be made available to the applicant. The project will be based on creating a virtual mouse driver for a window system of choice (MS Windows, X Window system). This driver will cooperate with an application talking to a haptic device, providing this haptic device as an additional input to the window system. The main part of the project will then be design and implementation of one or more paradigms of controlling the window system with a haptic device. 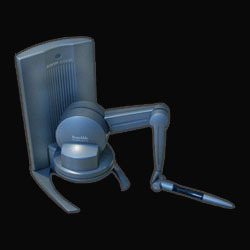 Using the 3rd dimension for input sensitivity or virtual desktops can serve as an example. 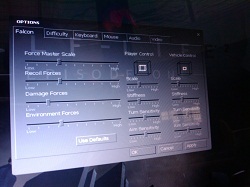 Creating support for the Novint Falcon haptic device in the GIMP image editor. 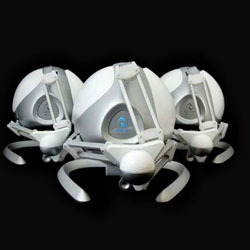 Design of several ways of utilizing 3D and force feedback in image manipulation (such as realistic simulation of a brush, sensitivity, colour changing). Comparison and evaulation of these approaches, ideally by conducting an actual user study. Are you interested in doing academic year project, Bachelor thesis or Diploma thesis using haptic technology? Contact Petr Kadlecek or any thesis supervisor (see people section) to consult a theme. These proposed topics are not officialy assigned! They serve as ideas to work on! There are basically two ways of accessing haptic devices in your application. A low-level approach - you get a position of a haptic device as a vector and you have to calculate your own haptic effects and forces. The output is also a vector. A high-level approach - haptic API serves you with a scenegraph and you can set haptic effects directly on an object in the scenegraph. Visit Haptic API survey to get more information.